An Insider`s Guide to Washington D.C.
An Insider’s Guide to Washington D.C.
Teeming with history, politics and culture, Washington D.C. is an incredible city for visitors to experience. 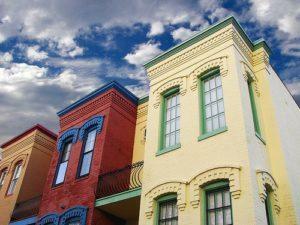 But step away from the Capitol steps, the White House, the Mall and other popular tourist venues and you’ll get to know some of the neighborhoods that truly make the city endearing. Here are six special communities you may want to see during your next visit to Washington, D.C. If you’re looking for an eclectic mix of restaurants, bookstores, nightclubs and shops, you’ll want to pay a visit to Adams Morgan. This cute little area is filled with charming restaurants representing cuisine from dozens of countries around the globe. After a nice meal you may want to visit some of the jazz clubs, coffee bars or nightclubs. If you are a shopaholic who loves vintage or ethnic clothing, grab your wallet and head off to investigate Adams Morgan’s many funky boutiques. If you’re more of a bookworm than a night owl or clotheshorse, lose yourself for hours in one of the area’s independent bookstores. 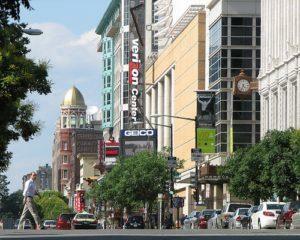 If you’re in need of a little retail therapy, check out Georgetown, a favorite locale for Beltway shoppers. Founded in 1751, Georgetown is loaded with chain and boutique stores, incredible architecture and museums interspersed throughout residential streets. 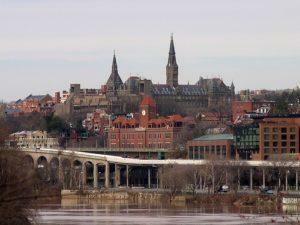 This community is also famous for a large student population, with Georgetown, George Washington and American Universities all nearby. Grab some coffee at a local bistro, check out the quirky little shops, walk along the C&O canal and then make your way down to the Potomac to catch the spectacular view; early in the morning you just may catch a few college crew teams during practice. Georgetown is great for movie buffs who’ll be sure to recognize scenery shot for the horror film “The Exorcist,” Brat Pack classic “St. Elmo’s Fire,” suspense thriller “No Way Out,” and the hit comedy “Wedding Crashers.” A word of caution to the ladies: Georgetown’s sidewalks are paved with bricks that can wreak havoc on high-heels. Save your feet and shoes by sticking with a comfy pair of flats. Named after Rear Admiral Samuel Francis Dupont, this neighborhood is home to a conglomeration of international embassies and consulates–along with luxury and boutique hotels, restaurants, art galleries, film houses, cafes and shops. The Textile Museum, Phillips Collection, Woodrow Wilson House and National Geographic Society’s Explorers Hall are just a few of the area’s attractions. Since parking is prohibitive, getting there by metro or bus is your best bet since traffic can be a challenge for tourists. If you’re in the area, take a ride on the subway 188-foot escalator, located at the north entrance of the Dupont Circle metro station. While New York, San Francisco and Los Angeles are all known for having a Chinatown district; most visitors are unaware that DC has its own, filled with an array of Asian restaurants and specialty shops. 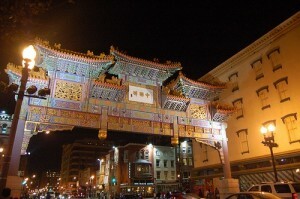 Visitors entering the Chinatown community can walk under the dazzling Friendship Arch, and stroll along community streets which all have signs in English and Chinese. Popular attractions include Verizon Center, Shakespeare Theatre, National Portrait Gallery and Smithsonian American Art Museum. The two museums share a building that was once the Old Patent Office, site of Abraham Lincoln’s second inaugural ball. Don’t miss Ford Theatre, the site of President Lincoln’s assassination, along with the tiny row house across the street where he was rushed and later died. The popular Thursday farmer’s market on Eighth Street will delight your senses with its plethora vendors selling freshly baked breads, just-picked fruits and veggies, and street food. While “The Hill” is always a popular tourist attraction, wander off through some of its nearby residential areas to see the real DC. Now considered a historic district, Capitol Hill is filled with picturesque pubs and mom-and-pop shops frequented by locals. It’s estimated that one third of all members of Congress live in this neighborhood, lined street after street with charming row houses. Whether you’re looking for fresh food, beautiful flowers or a good deal on antiques, you’ll want to pay Eastern Market a visit. 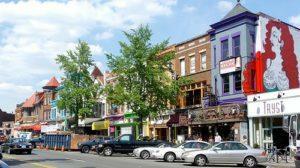 Located in the Capitol Hill district, Eastern Market is Washington, DC’s oldest continually operated public shopping venue. Produce, crafts, handmade jewelry and everything in between is up for sale at this bustling indoor/outdoor marketplace. 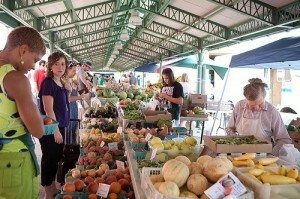 Long considered a community hub, Eastern Market is best to catch on a weekend, when things are really hopping. 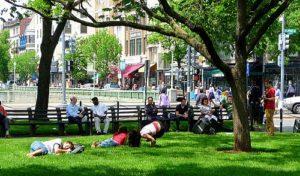 Washington D.C. has so many wonderful areas to see it might be difficult to make a choice. If you need help figuring out which communities you’d like to visit, check out the Washington, D.C. Convention and Visitors Association (washington.org) to assist with your hotel, sightseeing and transportation plans.